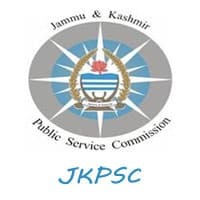 JKPSC Jobs Recruitment Notification 2019.Jammu & Kashmir Public Service Commission (JKPSC) inviting applications for the positions of Lecturer.Interested and Eligible candidates can apply for the positions. Anaesthesiology: MD/MS (Anaesthesiology) DFACS Specialty Board of Anesthesiology (USA) or equivalent qualification. Bio Chemistry: Post-graduate degree in BIO Chemistry i.e M.D., Ph.D., D.Sc. Dermatology: M.D. in Dermatology; Specialty board of Dermatology (USA). Pharmacology: Medical Persons: – Postgraduate degree in Pharmacology i.e. M.D., Ph.D., D.Sc. Pediatrics: M.D. in (Pediatrics), specialty Board of Pediatrics (US/\). Physiology: For Medical Persons: – Postgraduate degree in Physiology i.e. M.D., Ph.D., D.Sc. Surgery: M.S. (Genera Surgery /Surgery) F.R.C.S; Specialty board of Surgery (USA) or equivalent qualification in the subject. Microbiology: For Medical Persons: – Postgraduate degree in Microbiology/ Bacteriology i.e M.D. Radio Diagnosis: M.D (Radio Diagnosis and Imaging); M.D./M.S Radiology; Specialty board of Radiology (USA) or equivalent qualification. Cardio Vascular & Thoracic Surgery: M.Ch (Cardio Vascular & Thoracic Surgery)/ M.Ch (Cardiac Surgery)/ M.Ch (Vascular Surgery)/ M.ch (Thoracic Surgery). Cardiology: DM (Cardiology)/ DNB (Cardiology). Selected candidates will get Rs.52700-166700 (Level 9) from the organization. Look around for “JKPSC Recruitment 2019 for Lecturer Posts“.